Discover our illuminating Pendant Ceiling Lights at Pagazzi Lighting. 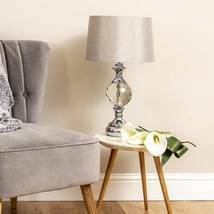 We pride ourselves on our comprehensive selection of exclusive Lighting as well as our range from well-known lighting brands such as Dar Lighting, Endon & Searchlight at incredible prices. All products featured on our website are in stock and ready to ship Next Day Delivery*. Pendant lighting is a single light that that hangs from the ceiling, usually by a cord or wire and can be referred to as a hanging light. A ceiling light is the main light source in a room and is a striking and efficient way to fill an entire space with bright light. Many of our designs are adjustable upon installation making them suitable for most rooms and will look great anywhere in your home. Remember to measure your ceiling height before you buy a ceiling light to gauge where the light will hang down to. Use an individual Pendant Light to draw attention to a key area, or combine these in unison to create a unique series in your space. 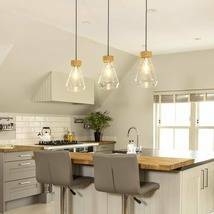 A top tip for pendant lighting is using multiple lights in a row to create an even distribution of light, sometimes over a kitchen countertop or dining room table. Pendant Ceiling Bars are a unique addition to your kitchen, dining room or hallway by providing considerable additional illumination. 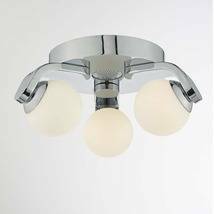 With 3-5 light options only requiring one lighting fixture, styles include LED Spotlight Bars, Industrial Spotlight Bars and Crystal Spotlight Bars. Polished Chrome, Antique Brass and Copper and are just a few of the finishes we have at Pagazzi Lighting. Want a sparkly pendant light? Pagazzi have a wide range of exclusive crystal pendants, cluster pendants and crystal bars. Eye-catching and striking opulent chandeliers create a glamorous and stunning addition to your home. Energy efficient LED styles include loop, intertwined and ring designs that make for a striking lighting effect. 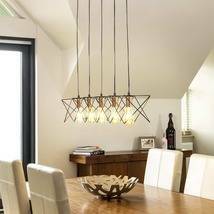 Geometric and caged pendant lighting can add a unique touch to your space. 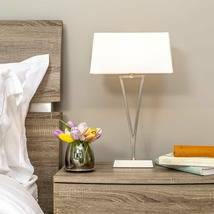 Minimalist and wired lights in copper, silver and gunmetal work perfectly in modern and contemporary homes. Quirky retro and vintage-inspired pieces are becoming more popular in homes, restaurants and offices. Dimmer switchers alter the brightness of the light and are a good way to create different atmospheres in a room. Not all lightbulbs can be used with a dimmer switch either, so make sure to check the bulb packaging before you purchase. Having the right ambiance in your home and office sets the mood and is the perfect finish to your interiors. For installation, we recommend hiring a qualified electrician for fitting your pendant ceiling lights.